Episode 1. “Foreigners in Their Own Land” spans the period from 1565-1880, as the first Spanish explorers enter North America, the U.S. expands into territories in the Southwest that had been home to Native Americans and English and Spanish colonies, and as the Mexican-American War strips Mexico of half its territories by 1848. Episode 2. 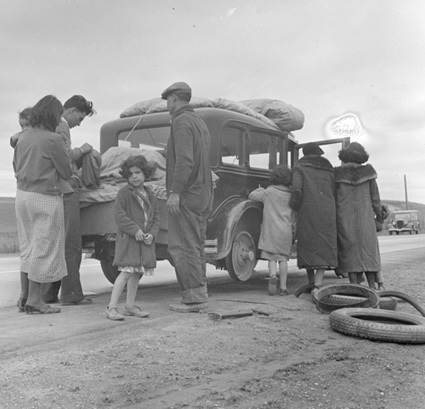 “Empire of Dreams” documents how the American population begins to be reshaped by the influx of people that began in 1880 and continues into the 1940s, as Cubans, Mexicans and Puerto Ricans begin arriving in the U.S. and start to build strong Latino-American communities in South Florida, Los Angeles and New York. Episode 3. 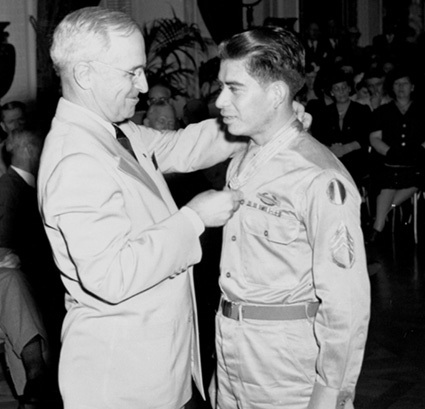 “War and Peace” moves into the World War II years and those that follow, as Latino Americans serve their new country by the hundreds of thousands — but still face discrimination and a fight for civil rights back in the United States. Episode 4. 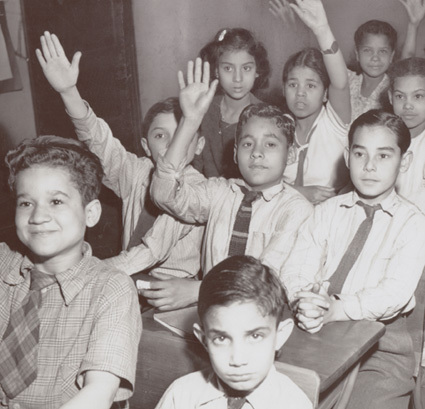 “The New Latinos” highlights the swelling immigration from Puerto Rico, Cuba and the Dominican Republic that stretches from the post-World War II years into the early 1960s as the new arrivals seek economic opportunities. Episode 5. 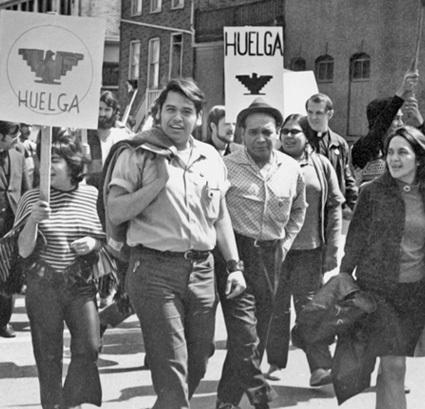 “Pride and Prejudice” details the creation of the proud “Chicano” identity, as labor leaders organize farm workers in California, and as activists push for better education opportunities for Latinos, the inclusion of Latino studies and empowerment in the political process. Episode 6. “Peril and Promise” takes viewers through the past 30 years, with a second wave of Cubans arriving in Miami during the Mariel exodus and with hundreds of thousands Salvadorans, Nicaraguans and Guatemalans fleeing civil wars, death squads and unrest to go north into a new land — transforming the United States along the way. The debate over undocumented immigrants flares up, with a backlash that eventually includes calls for tightened borders, English-only laws and efforts to brand undocumented immigrants as a drain on public resources. Simultaneously, the Latino influence is booming in business, sports, media, politics and entertainment. The largest and youngest growing sector of the American population, Latino Americans will determine the success of the United States in the 21st century. LATINO AMERICANS is a production of WETA Washington, D.C.; Bosch and Co., Inc.; and Latino Public Broadcasting (LPB); in association with Independent Television Service (ITVS). Corporate funding for LATINO AMERICANS is provided by The Ford Motor Company. Major funding is provided by Corporation for Public Broadcasting (CPB) and Public Broadcasting Service (PBS). Foundation support is provided by Ford Foundation, National Endowment for the Humanities, The Rockefeller Foundation, The Arthur Vining Davis Foundations, The Annenberg Foundation and The Summerlee Foundation. Funding for outreach is supported by a grant from The New York Community Trust. Bosch was for twenty years a producer, writer and director at WGBH. Her two-hour special Fidel Castro was honored with a Silver Hugo from the Chicago International Film Festival and was nominated for the Writers Guild Award. 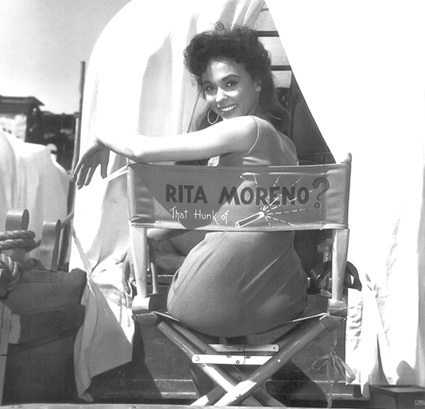 She was senior producer and producer/director of Latin Music U.S.A. and was producer, writer and director of Jimmy Carter, a three-hour documentary biography for American Experience. She has won a Christopher Award, a Peabody Award, an Erik Barnouw Award and an Emmy Award. As the Executive Director of Latino Public Broadcasting, Pedlow oversees the development, production and distribution of public media content that is representative of Latino people or address issues concerning Latino Americans. She brings to this position over 20 years experience in program development, production and the development of international public media initiatives. Most recently she was Director, Station Relations for PBS Education where she led the implementation and marketing of PBS online and digital media products and services. Prior to PBS, Pedlow was Director of Programming Strategies, Associate Director of Cultural, Drama and Arts Programming, and Senior Program Officer with the Corporation for Public Broadcasting for 10 years. A Vice President and Executive Producer at WETA, Bieber is a winner of national EMMYs, DuPont-Columbia, Peabody, and other awards. Bieber is also currently in production on The Italian Americans, a four-hour series, book and engagement campaign and Washington Week with Gwen Ifill. Past work includes America at a Crossroads, a twelve-hour, six-night primetime series; The Jewish Americans, a six-hour documentary that examined 350 years of Jewish American history; and Avoiding Armageddon, an eight-hour series produced in partnership with Ted Turner Productions. Bieber has worked as a producer, director and writer on numerous award-winning documentaries, performance specials, and breaking news programs. Delan is the Executive Vice President for National Production and Chief Programming Officer at WETA. He directs WETA’s national production department and oversees syndication and marketing of WETA’s productions to PBS stations around the country. Delan came to WETA in 1998 with more than a dozen years of senior-management experience at the Sundance Channel, the Travel Channel, Lifetime Television and HBO. Avilés has worked as an independent film and video producer for over 20 years. At WGBH, she worked on several national series, including Mexico, War & Peace in the Nuclear Age, Masterpiece Theatre, NOVA and American Experience. As an independent producer, Avilés coordinated educational dramatic and documentary productions that took her throughout Latin America and Spain. Navarro is a Boston-based filmmaker whose debut documentary, Lost Souls (Animas Perdidas), aired on the 2009/10 season of the award-winning PBS series Independent Lens. She developed and produced Lost Souls as a Filmmaker-in-Residence at WGBH. Navarro was recently selected as a Documentary Fellow for the 2011 NALIP Producers Academy. She has volunteered with the Guatemala Radio Project, blogged about contemporary art for Art:21, and was the festival coordinator for the 2005 Do It Your Damn Self!! National Youth Video and Film Festival. McCabe has worked in the documentary field for over twenty years as a producer, director, writer and editor. His work covers a wide variety of subjects including political histories, science and music. Recent work includes producing, directing, writing and editing Making Stuff: Smarter for the PBS series NOVA, for which McCabe earned a Writers Guild Award nomination for its script. In 2009, he produced, directed, wrote and edited the first episode of WGBH’s four-part Latin Music U.S.A. series. His work has earned several awards including the George Foster Peabody Award, a Writers Guild Award, an Emmy Award, a Special Jury Award at the Sundance Film Festival, and an International Documentary Association Award for Editing. A Salvadoran-American journalist, producer and director, Alvarez’s experience spans from network news to feature documentary. She began her career at ABC News in 1993 and since then has worked in the U.S., Latin America, the Middle East, Central Asia and Africa. Her first feature documentary was Very Young Girls (Toronto Film Festival 2007, Showtime 2009), a verité feature documentary. She also produced and directed CNBC’s Marijuana USA (2010), MTV’s Emmy Award-nominated Aftershock: Diary of Gideon in Pakistan (2005) and MSNBC’s The Battle for America’s Schools (Cine Golden Eagle 2005). She was also a producer on the Academy Award-nominated and Emmy Award-winning HBO documentary Which Way Home, which followed a group of boys on the dangerous journey to the U.S. from Central America. Valadez has been producing and directing award-winning, nationally broadcast documentaries for PBS for the last fourteen years. He recently directed The Longoria Affair, which was nominated for an Emmy Award and won an Imagen Award for Best Documentary in Film or Television. Valadez also directed the critically-acclaimed film Passin’ It On, which aired nationally on the PBS series POV. He went on to direct the first hour of the four-hour documentary series Making Peace and was the producer for Visiones: Latino Arts and Culture and Beyond Brown. Valadez was a director, writer and producer for Latin Music U.S.A. for WGBH/PBS and The Head of Joaquin Murrieta for PBS. He has twice been a New York Foundation for the Arts Fellow, is a Rockefeller Fellow and sits on the Artists Advisory Board of the New York Foundation for the Arts. Valadez is a founding member of the New York Chapter of the National Association of Latino Independent Producers (NALIP). Telles has produced and directed for public television (KQED, WGBH, FRONTLINE), the networks (ABC, NBC) and for Spanish language television (Univision) as a staff producer/director and as an independent. He produced the PBS FRONTLINE program Children of the Night, which won a duPont-Columbia Gold Baton Award as well as other honors. 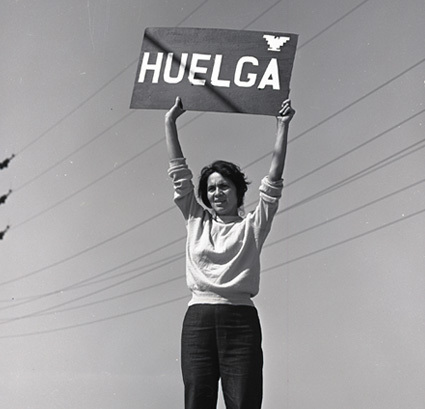 As a partner with Paradigm Productions, he co- produced The Fight in the Fields, a ninety-minute documentary on Cesar Chavez. Telles continues to produce documentary segments for Dateline NBC. He has won numerous awards including three Emmy Awards and was the recipient of the 2011 NCLR ALMA Outstanding Career Achievement Award. 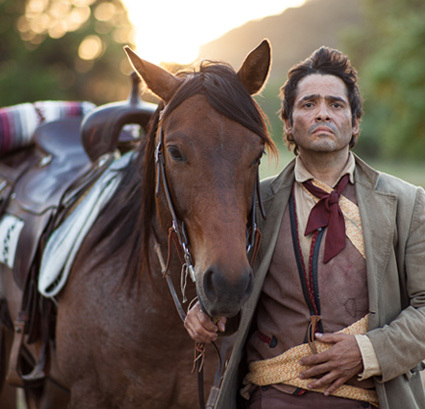 Telles is a founding member of the National Association of Latino Independent Producers (NALIP). An award-winning director and producer for the BBC, Belton has worked in news, current affairs, documentaries and drama for 20 years. He was the director of the recent PBS series The Amish (2012); the series director for the acclaimed PBS program God in America (2010); one of the directors of the series Ten Days to War, a retelling of the days just before Britain and the United States entered the Iraq War, which included actors Kenneth Branagh and Stephen Rea (2007-08); and the director of a film on Vincent van Gogh for the series Simon Schama’s Power of Art (2006), which won a British Academy Award for its innovative mix of drama and documentary elements. As a field producer for the BBC’s Newsnight, Belton covered the Rwandan genocide, and later wrote and produced the feature film Shooting Dogs about his time there. The film starred John Hurt and Hugh Dancy and won major international film festival prizes. Mexican-born Fritz moved to Puerto Rico in 1985. She has over two decades of experience directing. Among her recent directing works are América (2012), for which Women in Film awarded Fritz Best Director; The Stars in the Estuary (2009), an adventure film for children that was selected by Kids First and Divercine to tour the U.S. and Latin America; the features An Everyday Story (2004) and The Kiss You Gave Me (2000); and many documentaries, among them Little Immigrants (2008). Fritz’s work focuses on the issues she is passionate about: migration, gender issues and arts and culture. She has a BA in Communications from the Autonomous University in Mexico and an MFA in Visual Arts from Vermont College at Norwich University.